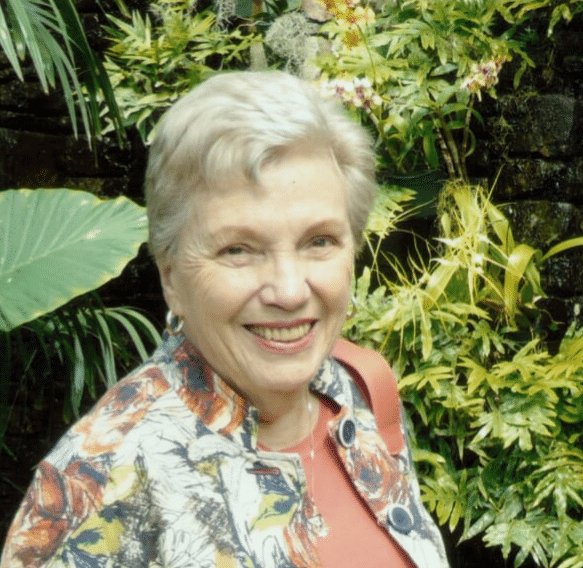 Sara Alice Heuberger, 85, of Overland Park, KS passed away at her home on April 13, 2019. She was born May 14, 1933 in Centralia IL, daughter of Joel Paul and Margaret Allen. Sara earned her undergraduate degree in Home Economics from Iowa State University and a Masters degree from the University of Illinois-Champaign. Sara married Glen Heuberger in 1958. She was a devoted wife, mother and home maker. The sound of birds, color of flowers and laughter of her grandchildren filled her heart with joy. Additionally, she was an avid reader, volunteer, and active church member. A Celebration of Life Service will be held on April 19, 2019 at Heritage United Methodist Church in Overland Park, KS. Visitation will begin at 1 PM followed by a service at 2:00 PM. A burial will take place in Suffolk, VA at a later date. In lieu of flowers, memorial donations may be made to the Overland Park Arboretum, Suffolk Christian Church, or Suffolk Public Library. Sara was preceded in death by her husbands, Richard Boston and Glen Heuberger, her parents and brother, Lloyd Allen. She is survived by her children Steven Heuberger, Eric (Margaret) Heuberger, and Linda (Stephen) Dunning; grandchildren Ashley and Heather Heuberger, Ryan and Sean Dunning; a brother, David Allen and wife Nancy, sister in law Sherill Allen. Our hearts are broken for your family. It was one of our greatest joys to live next to Sara in Suffolk. We loved sharing our adventure of travel and grandkids. Dear Family of Sara. I had the pleasure of doing Sara‘s hair for numerous years. She was a wonderful woman that was full of great knowledge and I respected her totally. I’ve missed her since she moved and I’ll miss her more knowing that she’s not here any longer. May the family take great pleasure in knowing what a wonderful woman she was to so many aswell as a wonderful mother and grandmother. What a pleasure knowing Sarah and her being in my life for the years that she was in Suffolk and I will remember her forever. Never Forgotten love Susan Talton.